Hockey is one of the most common types of sports. Thousands of hockey stadiums attract crowds of fans of the game during the iconic sporting events. Many cities in the world can boast of its huge hockey arenas. Surprisingly, the most capacious arena is not in Canada or the United States and in Japan. In 2000, in Saitama, was opened an amazing sports complex called the Saitama Super that is able to accommodate 22500 fans. 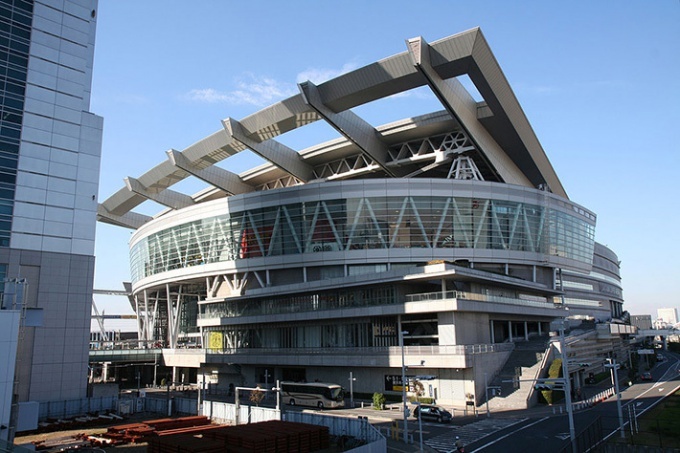 This ice arena holds its matches of the national hockey team of Japan. Despite the fact that Japanese players are not so often go to the ice sitestogo stadium, arena operates almost all year round. So, at the Saitama Super can be held various cultural events and concerts artists. The most spacious hockey arena of America is the stadium club NHL Montreal Canadiens. The stadium is called the Montreal Bell Centre. The arena was opened relatively recently - only in 1996. However, the ice stadium has seen many hockey fights. The Bell Centre regularly hosts NHL games. The capacity of this arena quite a bit inferior to the Japanese (21273 audience holds the home stadium of Montreal). The largest indoor arena in Europe believe the Lanxess Arena, located in Cologne, Germany. The arena was opened in 1998. She currently holds 18500 spectators. That's hockey matches held at the stadium very often, so the arena is used for other sporting events (e.g., Boxing matches, and musical concerts. Directly the biggest hockey arena in Europe is the stadium in the Prague O2 Arena, which plays their home matches of the hockey club "Slavia". The stadium was built specially for the 2004 world Cup of hockey in the Czech Republic. Vmestimost arena is 17360 spectators.